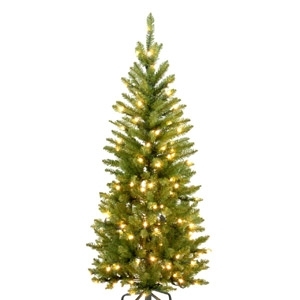 The holiday season just wouldn't be the same without this magnificent, prelit, artificial Christmas tree. 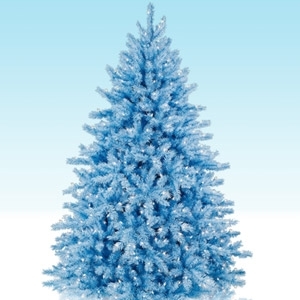 The prelit Hilltop Blue artificial Christmas tree is perfect for any room and will certainly bring the spirit of Christmas to any home. 6.5' Hilltop Christmas Tree includes multi-colored lights. Shop Bob's this holiday season and bring home a new tree for the Holidays! Covered with brilliant mini-lights, this Christmas tree adds a special sparkle to your seasonal decor. 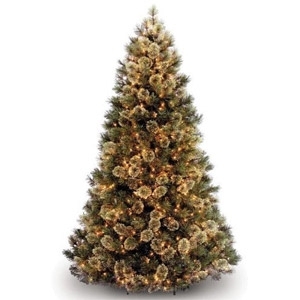 This tree has a full, natural triangular shape with dense foliage, and almost 900 spaced Cashmere tips that add a luxurious feel and soft appearance. Generously lit with 850 Clear mini-lights, and if one mini- light bulb goes out, the rest stay lit. Also includes a Power Pole which takes only minutes to set up! Plug one cord into the tree's outlet and watch your tree's lights shine! 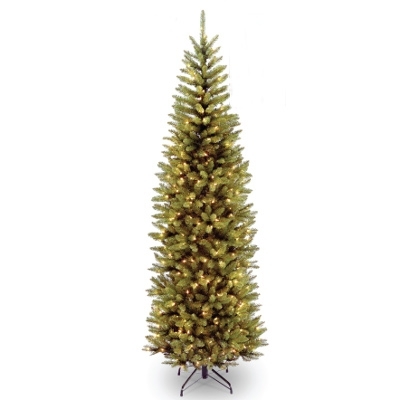 The pencil thin shape of the Kingswood Fir makes it a great tree for display in tight corners and small spaces. 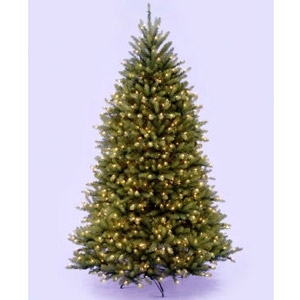 Pre-strung with multi-color lights and featuring hinged branch construction, this tree assembles quickly and is ready for decoration. Make your own or choose from our premade selection of Porch Pots. 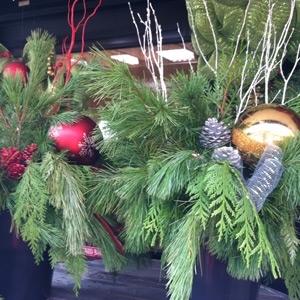 Have your holidays be merry and bright with a new tree from Bob's!